S. Dakota Indian Foster Care 1: Investigative Storytelling Gone Awry : NPR Public Editor An NPR investigation into foster care for American Indian children in South Dakota took on a serious issue but failed in several crucial respects. The series alleged that state social workers took children from their families as a way to get federal funds and put them in white homes out of cultural bias. While acknowledging secondary problems, editors defend the series, which won prizes. I find, however, that it violated NPR's standards because it lacked proof and failed to give the state's side on key points. The series also was characterized by an unfair tone, factual errors, misleading data and inadequate context. It should not have aired as it was. This introduction summarizes a six-chapter report on how not to do investigative storytelling. 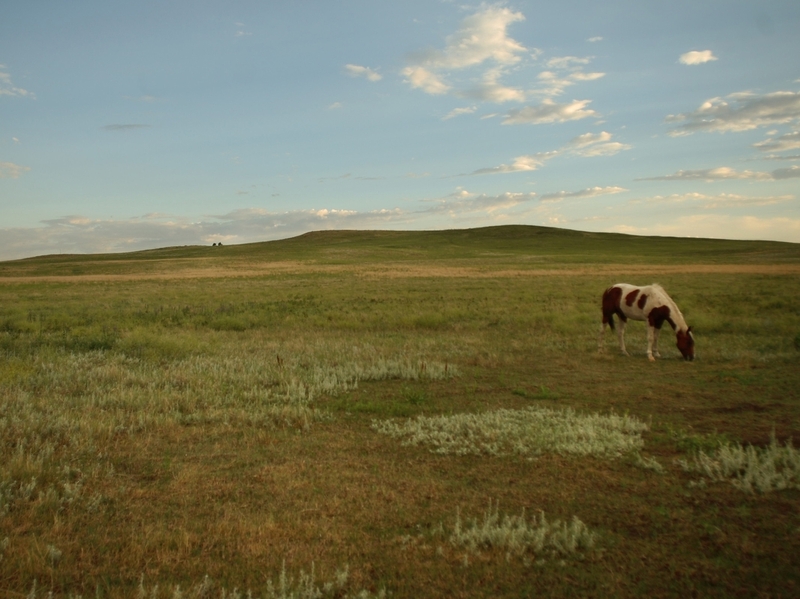 Pine Ridge Indian Reservation, South Dakota. In October 2011, NPR aired a three-part investigative series by reporter Laura Sullivan and producer Amy Walters alleging abuses in the foster care system for Native American children in South Dakota. With a mix of statements by the reporter and much innuendo, the series unmistakably alleges that the state's Department of Social Services was systematically removing Indian children from their families in order to collect federal reimbursements. The series further alleges that cultural bias — it stops just short of saying racism — was behind the overwhelming placement of these children in white homes, in possible violation of federal law. The series attracted national attention and won prestigious journalism awards. Some Native American advocates have since issued their own report supporting the reporters' findings. Activists and foster care policy leaders from each of the state's nine tribes also enlisted the United States Bureau of Indian Affairs in holding a May "summit" in response to the series. Gov. Dennis Daugaard and the secretary of the state's Department of Social Services, Kim Malsam-Rysdon, on the other hand, have condemned the series. They say that it is inaccurate and misleading. Many South Dakota residents also have written me in disapproval of it. More than 18 months have passed since the series aired. This might seem an inordinate amount of time, but I faced a conundrum. The two sides — the state and the reporters — stuck to hugely separate versions of not just interpretation, but also of what would seem to be easily measureable facts. I finally resolved in the spaces between other posts to slowly re-report parts of a major investigation that had taken the journalists themselves a year. I also felt that more than a standard critique was needed. As I delved into the defense of the series by the reporters and editors, I had a gnawing sense that the real issue was deeper than the story. The challenges that I was having in deciphering the tone and images of this story reflected what seemed to me to be a misuse of the techniques of storytelling in other complicated investigations, too. I wrote a long preliminary report to show what actually was being said in the South Dakota series and what substance there was behind it. I presented the draft to the reporters and editors late last year. I gave a copy as well to CEO Gary Knell. Appalled journalistic traditionalists might say that this is like a reporter showing a story to its subject before publishing it. The traditionalists would be right. But I was searching for truth and fairness. Based on the responses I got to the first draft, I dug more and further clarified my thoughts. This final report is a substantial rewrite but still arrives at starkly different conclusions from that of the reporters and top editors. I have presented this account to them, too, and invited them to write a detailed dissenting opinion. They have chosen instead to post a short statement linked here. They acknowledge some shortcomings but still stand behind the series. They declined to respond on the record to most of the points in this report. I have no monopoly on the truth. I welcome you to read their defense and pick apart my analysis on your own. No doubt the investigative team was driven by the history of injustices suffered by Native Americans. There is much to be outraged about. But good intentions are not enough. Specifically, there is no whistleblower, no document — no smoking gun even — to support the unmistakable allegation that for nearly the last 15 years, state social workers have been so evil as to take Indian children from their families as a way to reap federal funds for the state government. The charge is so shocking and such a potential insult to many dedicated social workers that the burden of proof should have been especially high. There is more that is wrong, too. The reported federal reimbursement numbers are badly inflated. That is a factual flaw. Perhaps more upsetting to many of us is a moral one: concern for the centrally relevant matter of child neglect is simply dismissed. That many of the foster decisions, meanwhile, are in fact made by the tribes' own independent judges goes unreported altogether. The crucial context of social ills and a crisis of Indian family breakdowns on the state's reservations are also all but missing. Whatever the truth, the proof here is so weak that this series is itself an injustice. So, too, is a real-world concern. All sides agree that the preferred alternative is to put Native children in Native foster homes, but unreported is that there is an acute shortage of these homes in the state and nationally. Relatedly, South Dakota courts and social workers often skip the foster care system altogether and use a companion welfare program in which Indian children are indeed put in Indian homes. As many children are put in Native homes under the welfare program as are put in white homes under foster care, according to state records. There is no mention of any of this in the series. What we hear instead are innuendo and loaded half-truths. Sullivan, for example, says on-air that because of a special needs "bonus" in federal aid, Indian children "are worth more financially to the state than other children." As I show more fully in Chapter 2, the tone and unsupported implication is that the Indians are mere chattel to state social workers. In another part, Sullivan clearly implies that the social workers willfully go on to reservations and "drive off with an Indian child," as she put it on-air. The unmistakable suggestion is that they do so regularly and without a court order. But no proof was presented; the state denies the charge. Nothing in this report should be taken as proof that social workers, judges and other state officials commit no abuse or that the state shouldn't be doing more to keep Indian children in Indian families. My investigation is of the NPR series, not of the state. I do not know the full truth of what is happening on the ground in South Dakota. Chapter 5: Who Is To Blame For Native Children In White Homes? In March, the American Civil Liberties Union helped file a narrow case in federal court charging that a local judge and social workers in one county had railroaded the taking of several Indian children from their families. The local judge and state officials have moved to dismiss the charges for lack of evidence. At the time of my writing, the case was still going forward. Indeed, there are so many Indian complaints over foster care that there is certainly reason to ask about state misconduct. My point here, nonetheless, is that no matter what emerges from the ACLU case or any subsequent NPR investigations, this first series falls so far short in proving its allegations and implications of widespread state abuse that the series, as presented, is itself an injustice. Even the heartbreaking anecdotal story that provides the narrative arc tying together the series is unsubstantiated. It is based largely on hearsay from the grandmother of the children involved, and not on information from the parents, who were the ones who actually dealt with social workers and the courts. The state Department of Social Services (DSS) strongly disputes that there was any wrongdoing in the case, but this response was not reported. Indeed, we never hear from any parents in the entire series. Nor did the reporters get the parents to agree to make their files public so that we wouldn't have to rely on hearsay. This particular case, moreover, was handled by a tribal judge, not a state one, but nothing was made of this in the story. The idea that the abuses are systematic or widespread is communicated by the reporter's language and quotes and by the very fact that a three part series is being dedicated to the subject. Host Melissa Block introduces the series with a seemingly stunning statistic from Sullivan and Walters that, unexplored, is left to stand as prima facie proof of large-scale violations. Block correctly notes that Indians make up 15 percent of the child population in South Dakota "but account for more than half the children in foster care." This represents a disproportion of nearly 3.5-to-one. What the series does not say is that in 2010, the year Block refers to, the disproportion among children who leave their homes — for whatever reason — was great or greater still. In one measurable sample, the Indian-white imbalance was five-to-one for Indian children found to be living with kin receiving welfare. Given that this group of children alone was eight times larger than all those in foster care, Indians themselves seem to be setting a trend of removing children from families. The high demographic disproportion of Indians in foster care, in other words, proves little about abuse. I show this more fully in Chapter 2. What the disproportions and the large number of Indian children living with kin do suggest, however, is that many Native American families in South Dakota are internally hemorrhaging. We don't know how and why, however. The series doesn't explore it. But the series does offer an incendiary motive for state actions. "Money" is how Sullivan introduces this motive, saying on-air: "State officials say they're doing everything they can to keep Native families together. But there's another powerful force at work, too: money. We'll talk in a minute about how the federal government sends the state thousands of dollars for every child it takes." The suggestion in the series is that the state somehow profits from the federal reimbursements. Yet, the reporters came up with no specific bureaucratic practices to criticize, no quotas or targets to be reached, no fraudulent accounting. As I show in Chapter 3, the whole money angle is based on a misrepresentation of how federal incentives work. According to federal formulas, the state match for reimbursements has fluctuated between 40 percent and 50 percent in recent years — not the almost one-quarter erroneously cited in the story. Whatever the split, the more children the state takes from families, the more it costs the state. Two silent definitional shifts pump up the $100 million number. To be sure, the series never explicitly claims that the state actually profits. The series gives two officials a chance to say so. Sullivan, however, followed their denial with a statement that discredits them, saying on-air: "But, in general, the more children that the department has, the more money they may be getting from the federal government." Without some proof of wrongdoing or some fair context, the use of the word "may" here by Sullivan is not a qualification adding fairness; it is verbal swordplay and a stab. Meanwhile, the series says South Dakota receives "almost $100 million" in federal money for foster children, an amount that we are led to believe drives the abuses. As I show in Chapter 4, this attention-getting headline number is both misleading and greatly exaggerated. Two silent definitional shifts made well into the story pump up the number. When hearing about the federal funds in a story on Indian children, we naturally think that Sullivan still means Native Americans when she refers to "children" or "a child." She does not. The $100 million refers to reimbursements for children of all races and ethnic groups in South Dakota, including white, Sullivan later told me. The second silent shift is that the reporters were counting federal money not just for foster care, but also for adoptions and psychiatric residential treatment. While the larger measures have relevance as context, the switch to them without telling us created a misleading result. Based on their proportional weight among foster children, looking at Native Americans alone reduces the total amount of reimbursements by roughly 40 percent. The $100 million becomes $60 million. The story's so-called "incentive" shrinks. Sullivan said that she also included $37 million to $70 million in medical reimbursements. This is a large range for what would seem to be a verifiable number from the federal government. Instead of using official federal or state sources, she said that she based her estimates on information from advocates and unnamed sources cleared by her editor. Malsam-Rysdon said that the entire expenditure for all children of all races in DSS custody for all manners of care in fiscal year 2010 (the year covered by the series) was $68 million. This includes $12.7 million for Medicaid, as well as all other medical expenses, she said. Under the 60:40 match that year, the federal government reimbursed $39.5 million. Using the proportional formula again — the federal government does not break out reimbursements by race or ethnicity — the reimbursements tied to Native American children was roughly $22.5 million. We are now down to a quarter of the $100 million number. Ignoring the moral matter of child neglect is irresponsible. You can jiggle with the numbers and definitions, but nothing I did or was given by the reporters changes this order of magnitude. And this $22.5 million includes adoption and Medicaid, which are questionable to include. Concerning Medicaid, the overwhelming number of all children — and roughly half the Indian ones — were already receiving it before the state took custody over them, Malsam-Rysdon said. The amount of incremental Medicaid funds coming through the state as a result of Indian children being put into foster care thus approaches insignificance, making it hardly an incentive. Sullivan and Walters have not given me evidence showing that the state's figures are wrong. I cannot audit the state, but their numbers are public and official and have remained consistent. Listeners, meanwhile, never hear the state's budget sums, nor its denial of the "almost $100 million" claim. Once again, the state's response is not reported, as happens so often throughout the series. Still, as odd as this might sound, the inflated dollar numbers don't bother me as much as they did the investigative and radio reporting colleagues I consulted. To me, the more important point is that either there is, or there is not, systematic abuse of Native American children and families — whatever the dollars involved. In addition to the unproven allegations, what troubled me more about the reporting on taking children from their families was its irresponsibility. Among the critical things that the series ignored, or largely ignored, were the moral matters of child neglect, the legal matter of state child welfare laws and the social matter of the suffering on many of South Dakota's Indian reservations. I detail all this in Chapter 2. Sadly, on iconic reservations such as Rosebud, Cheyenne River, Crow Creek and, perhaps most poignantly, Pine Ridge, home of the 1890 massacre of Indians at Wounded Knee, many Indian families today are in alarming distress. The reservations have some of the absolute worst rates in the nation for alcoholism, fetal alcohol spectrum disorders, teenage suicide, teenage pregnancy and domestic abuse. Gangs and illegal drugs are common. According to a much-cited 1998 report done at the Harvard Center of Population and Development, where I have worked and remain associated, life expectancy hovered around 48 years for men and 52 for women, similar to Somalia's. One imagines that life expectancy has improved since that report was done, but clearly the overall picture is dire. Unreported was that 40% of the placements were made by the tribes' own judges. This is not to blame the families. They are victims of poverty and history. Rather, it is to blame the dysfunctions for contributing to the large number of children who wind up in foster care relative to whites. Compared to the number of children in foster care over the last three years, eight to 10 times more are not living with either parent. See Chart 5.6 in Chapter 5. I am sure that most of us in the audience, Native Americans included, believe that parental neglect has to be mixed in here somewhere. Whether or not neglect is involved in any particular situation, the overall issue of neglect certainly demands to be addressed. Yet, what little discussion there is of it in the series is in the context of alleged cultural ignorance by social workers and a mistaking of poverty for neglect. Malsam-Rysdon, the DSS head, vehemently denies the allegation of cultural arrogance and points to specific state regulations and laws defining what constitutes neglect. Her defense is not reported, however, nor are the laws or definitions of what the state considers neglect to be. I lay out the laws and regulations in Chapter 2 so that readers can decide for themselves if they seem reasonable and deserved reporting. The series did quote Malsam-Rysdon as defending the legality of the state's actions, and we did hear an aide say that the state's primary interest is the safety of children. But this is different. Anyway, those statements, too, are dismissed in the storytelling. Also ignored was the national context in which the policy trend has long been to favor protection of the child over protection of the family, whatever the ethnic or racial group. What is happening to Native American children in South Dakota in many ways is similar to what happens to all children everywhere after families break down due to drug or alcohol-addicted parents or other such serious maladies. It could be that neglect should be defined differently for Native Americans, as some Indian activists seem to want to argue. But if so, then intellectual honesty and NPR's standards require that there be contextual reporting on the national trends, dissection of the family-child trade-offs and a full discussion of the claimed cultural contradictions surrounding neglect. Here are two examples of what NPR could have done. One is a New York Times story from New Mexico that directly confronts the trade-offs faced by Native American foster care. More relevant still is this story from the Sioux Falls Business Journal in which Native Americans in South Dakota debate the difficulties surrounding foster care. Note that the governor has offered to help the tribes receive direct child welfare funding from Washington. I don't know if the NPR series motivated the gesture, but even before the series ran, the state already had turned over child welfare responsibility to tribal social works on four of the nine reservations and financially supported them. The Sioux Falls story shows also how the series has misled many Native Americans in the state into believing that there is a pot of $100 million in federal funding to go after. One could even be justified in saying that the series failed the state's Native Americans even more than the rest of us. Partly explaining this failure is a conceptual framing of the series based on a single-minded interpretation of the 1978 Indian Child Welfare Act, or ICWA. That act commendably requires that Indian children taken from their families be placed as much as possible with relatives or tribal members. Yet, a second, jaw-breaking statistic in the series is that "nine out of ten" of the state's Indian foster children are being placed in white families. As discussed in Chapter 5, this is presented as virtual prima facie evidence of state cultural abuse and as a violation of the spirit, if not the letter, of the federal law. Listeners do not hear, however, that some 40 percent of those placements are made by the tribes' own independent judges on the reservations, not by state judges. Indeed, state data shows that the tribal judges put Indian children in white homes at an even higher rate than do state judges. Charts in Chapter 5 show this and other related tribal judge insights. 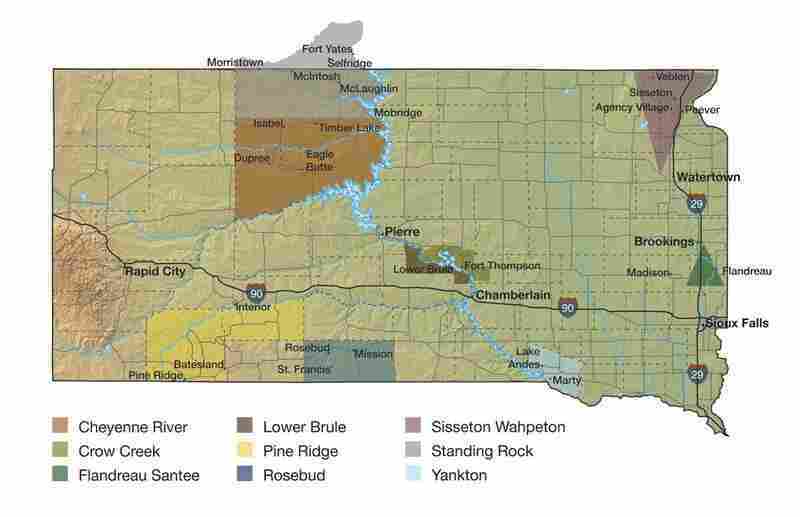 South Dakota is home to nine tribes. There is some debate over whether ICWA applies to tribal judges, which I review in Chapter 6. Whether it does or not, ignoring the tribal judges is unjustifiable under NPR's standards of completeness and fairness. That Indian judges are involved in the placing of Indian children in white homes is so culturally relevant to the themes of bias and abuse that clearly the role of Indian judges and their comparison with state judges has to be addressed. The only reference that the story makes on-air to tribal judges is to say that they merely "rubber-stamp social service requests." The charge is incorrect on its surface. There are no DSS recommendations of any sort to stamp on two of the state's nine reservations; the two have their own licensed social workers. DSS workers do not get involved. One of the two is Pine Ridge, the largest reservation in the state. On two other reservations, state workers are involved in only a minimal number of cases when called in by the tribe. So, on four of the nine reservations, state social workers have little or no presence. Tribal social workers, moreover, sometimes recommend putting children in white homes, too. The tribal social department arrangements, like the tribal courts, are part of agreements between the tribes and the state and part of the extensive sovereignty that tribes have under treaties with the United States. To ignore the role of the tribes' own judges and social workers, as the series does — not to mention to ignore the Native Americans who are judges and social workers for the state itself — is a form of cultural arrogance of its own. Meanwhile, one of the central related anecdotes is wrong. Sullivan says on-air that "every one" of the 33 foster children from the Crow Creek tribe were put in white homes. In fact, 15 of the 33 were put in Native homes, according to both the tribal leader cited as a source and the state. A breakdown of the fifteen shown in Chapter 5 suggests that social workers are more discerning in putting children into various types of settings than the series suggests. Then there is failure to mention the Indian children that state and tribal judges do indeed put in Indian homes. Some of these children are in foster homes, but an even larger number are put in the homes of kin who are then awarded welfare benefits under the federal welfare program, Temporary Assistance for Needy Families (TANF) to help support the added child. Just like foster children, these TANF children are under court custody and the financial support for the first child is the same. Over the last three years, the sum of the TANF and foster children put by the courts in Native homes has roughly equaled the number put in white homes. I pull all the placement numbers together in Chart 5.6. You can argue that there are still too many Indian children being put in white homes. But if you are going to charge or even imply that these placements represent racism or cultural abuse, what you can't do is ignore the context of all placements being made into Indian families. These placements not only run counter to the abuse thesis, they also are just what ICWA seeks to achieve, whether you call it foster care or not. Powerful storytelling techniques are not designed to hide reporting failures. To be fair to Sullivan and Walters, I discovered these TANF placements only recently. The reporters can't be expected to have known everything. I have had the luxury of being able to go back and forth for months with Malsam-Rysdon and her staff to get them to give me numbers that, under ICWA reporting requirements, are not kept in the way that I have defined and presented them in Chart 5.6, as well as elsewhere in this report. Sullivan has declined to say whether she knew about the TANF children, but the knowledge might have emerged if she did related reporting that was not included in the series but should have been. This was on what social workers call the "decision tree" they go through as they try to decide where best to recommend that a child be placed. What is pertinent to note here is that among the standard alternatives are whether to recommend the TANF or foster care routes, depending in large part on the financial circumstances of willing kin. Foster care is usually recommended for sibling groups, Malsam-Rysdon said, because under federal funding formulas, TANF aid drops after the first child but remains constant under foster care. The main advantage of the TANF program is that it sidesteps foster care licensing requirements. Chief among these licensing requirements, meanwhile, is what many experts say is a major explanation — arguably the major one — for why Native children are put in white foster homes: There is an acute national shortage of licensed Indian ones. This was not reported in the series. Federal law requires that foster parents attend training classes and meet a series of other requirements if they are to be part of the foster care system and receive foster payments. As I describe in Chapter 5, the requirements, which are federal ones applying to the state, limit the number of candidates. South Dakota had only 62 licensed Native American foster homes in July 2012, according to Malsam-Rysdon. Colorado had seven, according to an expert there. A concerted movement is under way across the country to recruit more Indian foster parents, including in South Dakota. A story exploring that effort, including an assessment of the disproportionate number of Indian homes needed and whether the state is sincere in its recruiting, would seem to be central to an investigation of the state's foster care placements. To its credit, the series did quote the director of the Division of Child Protection Services, Virgena Wieseler, who said of Indian foster homes that "we're always trying to recruit them, because we need more." But then Sullivan discredits her comment by saying that it "comes as a surprise" to a Native American grandmother. This woman and a second grandmother are presented as "licensed" foster parents who had been assigned no children — another example of cultural bias. The interviews with the two grandmothers run at great length. The governor's office disputed their licensing claim, and it turns out that the women were in fact not licensed by the state, but by the tribe. This is no mere bureaucratic matter. In addition to the state having to meet a federal requirement, imagine the public outcry if improperly licensed foster parents were to abuse children. Sullivan declined to say whether she knew about the licenses. A prize jury and advocates didn't hear the series as just raising questions either. A separate interview with one of the grandmothers on NPR's Tell Me More, excerpted at length in Chapter 5, underlined in a way that the investigative series never did just how fraught these domestic and foster care decisions can be. The woman's own grandchildren were taken from her daughter because the daughter had left them unattended. The daughter apparently had an alcohol abuse problem, according to host Michel Martin. A judge later elected to give custody to the stepfather of the children and not the grandmother. We are not told why. The grandmother may very well make a good foster parent, especially for her own grandchildren. And the state's interpretation of negligence may very well be too strict. But as Martin suggests, social workers, police and judges face excruciatingly difficult decisions in anything having to do with families and children. Culture and blood ties are very important, but I suspect that most Native Americans would agree that what is first at stake is the safety of the child, however defined. Yet, the series largely ignored the consideration of child safety. These and other problems with the series violate NPR's standards. In the next four chapters, I deconstruct the transcript in detail to show how the violations are made for each of the principle allegations. The exercise pains me, for I fear feeding a widespread cynicism today that often leads to a reading between the lines of news stories and an imagining of things that just aren't there. But the infractions in this series are so frequent and so serious that they are a case study in how not to do radio "storytelling." The technique, largely pioneered by NPR, is wonderful because it connects intimately with us, the audience. It does so through a highly produced mix of sounds, voices and personal narratives. This technique, however, is not designed to hide reporting failures or to make unproven allegations through unfair innuendo. In the concluding chapter, Chapter 6, I analyze the flawed framing on ICWA and how it intellectually led the whole series astray. I cannot tell you exactly what went wrong in the reporting and editing that resulted in a conceptually flawed series with so many mistakes. The head of the investigative unit who directly oversaw the South Dakota story, Susanne Reber, has since left NPR. The reporters and National Editor Steve Drummond, Senior Vice President for News Margaret Low Smith and Executive Vice President/Chief Content Officer Kinsey Wilson all disagree with the crux of my findings. Drummond was the second-step editor on the series, after Reber. Smith had little directly to do with preparation of the story, and Wilson was not in a direct editorial position when the story ran. Wilson has now led his own investigation of the series, based on my preliminary report. He and other senior editors agree that the Web version should have been more detailed, extra care should have been taken to reflect the state's position through other sources when the state assumed an adversarial posture, and that the definitional switches should have been made clear. But as seen in the attached review by him, he has concluded that the basic story stands. Hostilities with the state hurt the state's case, NPR's story and our need for the truth. To me, a more legitimate story would have raised and explored the many questions surrounding Native American foster care. The reporters and editors have declined to say why they didn't go in that direction, or even if that there was their intent. I myself have gone back to listen to the series many times to see if I am over-reacting to just what it is the series says. I still hear an intended expose and am not alone. So do supporters of the series. In awarding a prestigious George Foster Peabody Award, the jury wrote: "This three-part report detailed how cultural bias and possible financial gain led South Dakota and 32 other states to ignore federal law barring the separation of Native American children from their families or tribes." 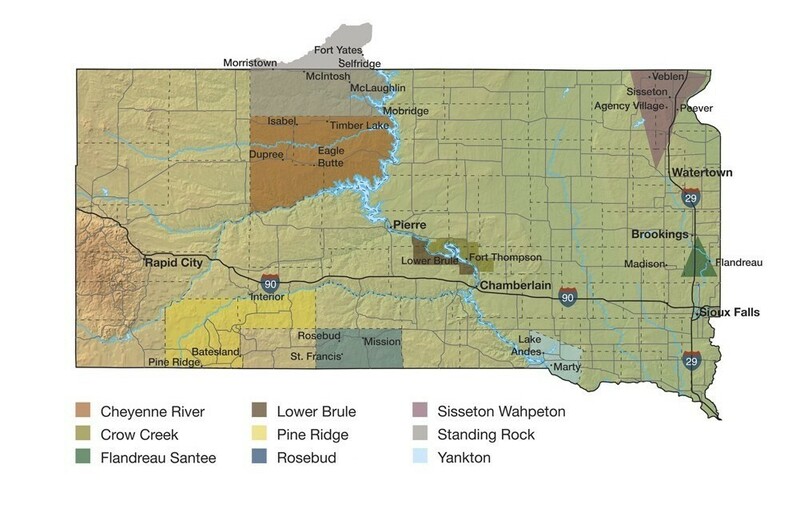 In calling for congressional investigations, the Coalition of Sioux Tribes for Children and Family, an advocacy group, said a "central finding" of the NPR series was that "South Dakota is removing children...for what appears to be profit." Posters for the South Dakota "summit" in May repeated NPR's $100 million funding claim and picked up on its financial motive angle by saying, "Lakota children are not for sale." Numerous quotes by tribal leaders in the local press and respected Native American websites such as Indian Country Today and Native News Network also repeat the story's claims as fact. A headline writer inside NPR itself apparently heard the series the same way. The headline on the Web version of Part One still reads: "Incentives And Cultural Bias Fuel Foster System." But what is evident from the word choices in the series is that the reporters and producers tried to push the story beyond the proof that they had. I don't know why. I can say that a common danger in doing long investigations on a subject evoking passions is that reporters can get too invested in their working assumptions and lose their sense of north. I myself as a reporter have succumbed to this danger more than once. I was fortunate enough to be saved by skeptical editors. A senior editor at The Washington Post recently told me that he killed an average of three advanced investigations a year, usually over the protests of the reporters, who couldn't see that they didn't have the goods. The NPR reporters didn't have the goods either. Some of the factual errors and incomplete reporting clearly trace back to a hostile relationship between the journalists and state officials. DSS officials, after initial openness, restricted access to the reporters. Malsam-Rysdon and Wieseler met with the reporters only once, together, and for less than an hour. Malsam-Rysdon told me she felt that Sullivan and Walters had made up their minds, and so she didn't want to meet more with them. Before the series aired, the governor's office released an unusual "prebuttal" saying that that the NPR reporters had "an obvious desire to create a story rather than report the facts of the matter." The statement had a menacing personal tone that said, improperly, that Sullivan was from San Francisco, demonizing her as an outsider. Letters from senior editors to the governor did not calm the waters. I cannot judge who was primarily to blame for the hostility. I can say that the breakdown in communication did not help the state's case, NPR's story or the public's need for truth. Still, it is incumbent upon reporters to establish empathy to get subjects to talk. In the reporters' defense, you could argue that perhaps the officials didn't cooperate because they had something to hide. I don't know if the officials were hiding something. But Malsam-Rysdon, her staff and the governor's press secretary, Tony Venhuizen, were cooperative with me, giving me much information that Sullivan and Walters did not have for their story. Of course, it also was in the interests of the officials to cooperate with me. Investigative reporters should clearly say what they found — and didn't find. An obvious question is whether the bad relations incited the reporters to adopt their accusatory tone and conclusions. I don't know the answer. Certainly, it is human for reporters — or anyone — to want to stack the deck against an uncooperative official whom they think may be hiding information. Regardless, under NPR's ethics standards, stories must be based on the best available evidence, and not just on suspicions or beliefs. Whether the officials were cooperative or not, NPR is responsible for what it airs and publishes. This is not the first time that the investigations unit, though staffed by superb veteran reporters, has had problems over the last two years. A series on private prisons had to be clarified. A story on the anti-terrorism efforts of shopping mall police was worthy in some parts, but unfair and confusing in others by failing to be explicit in its conclusions. A new editor, Robert Little, recently joined the unit. I hope this report is of use to him. My recommendation is that almost all investigations of wrongdoing be required to include clear statements by the reporter of exactly what she or he has found. Just as important, the reports should be required to say what he or she has not found that is relevant and gives context. When it comes to serious accusations of wrongdoing, it almost always is insufficient for the hosts or reporters to allude and then leave the alleged conclusions in the mouths of others, as this series often did. The reporter, in other words, should stand up and be counted as the authoritative voice in the story, instead of hiding behind the incomplete voices of others. If nothing else, the exercise will expose the holes in the story. If the idea is to explore serious questions, rather than allege wrongdoing, then that, too, should be made clear by the reporter or host. Charges, counter-charges and responses can then be left in the mouths of others, so long as the collection of voices is a fair exploration guided by the reporter. There is a legitimate storytelling style such as the one sometimes used by documentary filmmaker Erroll Morris in which the reporter is largely absent and the case is made through a steady building of excerpts from interviews and public statements. These documentaries are usually years in the making, however, and are extremely expensive to do. Realistically, NPR investigative teams have neither the time nor the money to achieve what are works of art as much as journalism. To be sure, NPR reporters and producers are extraordinarily talented. They turn out highly produced stories every day that heavily integrate a documentary storytelling style, and often do approximate art. Some leave me breathless. But rarely will an investigative team have the luxury to put years into a production, and even then have the time on-air to let their findings roll out fully and slowly. Short of being able to do this, the responsible solution in a complicated investigation is for the reporter to add the needed clarity, context and fairness. The narrative storytelling becomes illustrative. This is not the first problem that the investigations unit has had over the last two years. The very worst thing that the reporters and producers can do is let the allusions and voices come off as unfairly manipulative. This is what the South Dakota series does, even if not intentionally. And this is why being responsible and honest means acknowledging what you don't know. It means, for example, saying you don't know why a particular child was taken from his family, or where the boundaries are between competing laws, or how much reimbursements actually are, or what a statistic really indicates, or why there are so few Native foster homes, or what really is best for a child. These needed clarifications are hard to capture through narrative storytelling. When you don't have the material to do so, it is not enough to be technically accurate and simply leave out the clarifications and context, as the foster care series repeatedly does. Narrative storytelling works wonderfully for many types of stories. But a complicated investigation — as much as you might want to use narrative storytelling to connect with us in the audience — must above all still be accurate, complete and fair. In the next four chapters, I will show in detail how the foster care series failed on each of these points. Finally, my differences with the editors and reporters mostly concern the first of its three parts. This was the headline-grabbing part about the alleged state abuses. Part One takes up almost 23 minutes of the total 39 minutes aired. One of the solutions for dealing with the shortcomings in Part One would have been to expand it and chuck the next two parts as extraneous, though that decision is the editor's prerogative. Part Two was about Gov. Daugaard's former conflict of interest when he was both the state's part-time lieutenant governor and director of Children's Home Society. This is a private non-profit that is the state's largest psychiatric residential treatment center for foster children. Part Two walks a line that is so fine in its fairness to Daugaard that I will leave it to others to debate. Suggestions in the story that the center might have received sweetheart contracts from the state government were offset with acknowledgment that the center was widely considered the most competent such facility in the state. The story did not allege any improper personal gain by Daugaard or that the conflict was hidden. Daugaard ran for governor based in part on his success at Children's Home, which was unchallenged by his political opponents. An underlying point of Part Two, Sullivan said, was to show the political connections of the foster care system in South Dakota. Those connections may be true but don't prove wrongdoing. Part Three lightly sampled cultural identity issues of two professionally successful Native Americans raised as foster children in white families. Parts Two and Three probably would not exist were it not for Part One, which is what I focus on in this report, even when I say "the series." Let me say upfront that I found nothing to suggest that Sullivan and Walters intentionally committed any ethical violations. Sullivan has continued to follow foster care developments in South Dakota, while Walters left in June to join Al Jazeera America. Let me also say that at a time that most of the American news media is pulling back on expenditures and coverage, the NPR investigative team deserves credit for taking on a complex issue with a troubling history. If only they had gotten it right. Maria Paula Brito, Lori Grisham and Andrew Maddocks contributed to this report.